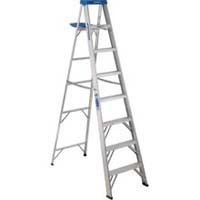 The 356 Aluminum 6 ft Step Ladder has a duty rating of 225 pounds and TOOL-TRA-TOP® that feature a convenient tray for holding tools or a paint can and slots for a paint roller tray. There is also a sturdy molded paint can hanger on the back of the top. The automatic SPILL-PROOF® pail shelf opens and closes with the ladder. 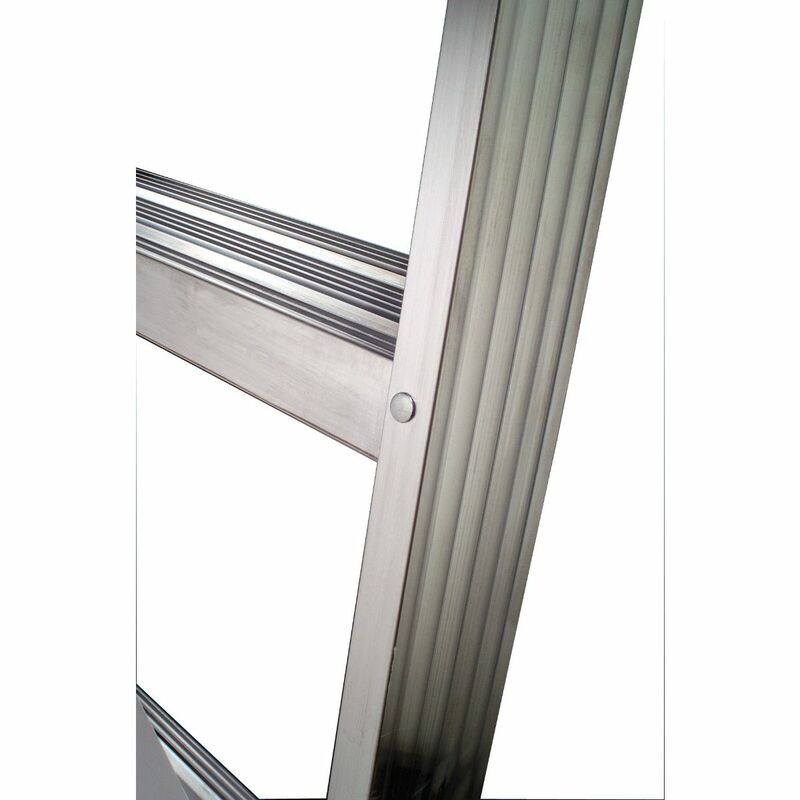 The TRACTION-TRED® steps are slip resistant.